Treasures of Laos: Golden Boten City has been closed down - will it wake up again with help from China? will it wake up again with help from China? 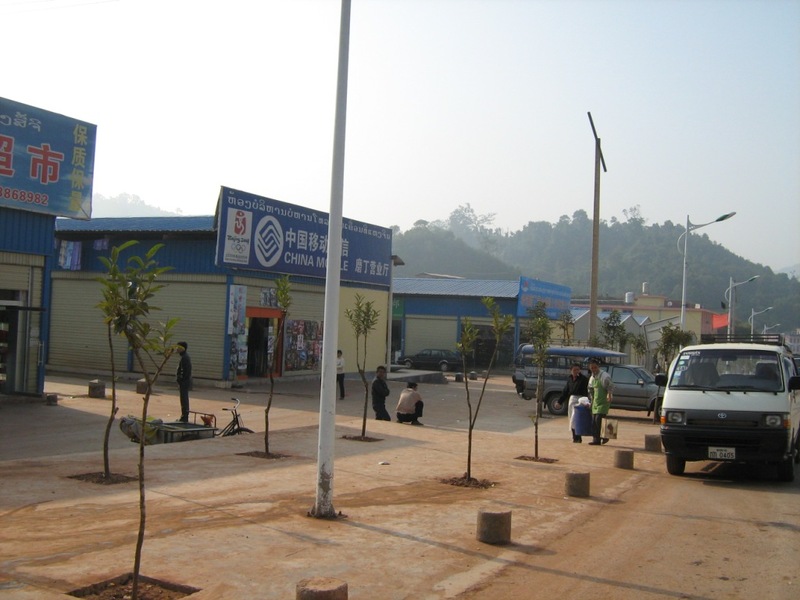 In Oudomxay province, a mountainous region south of the Chinese border in northern Laos you can see the effects of foreign investment by Chinese business in Laos, notes chinadialogue.net. 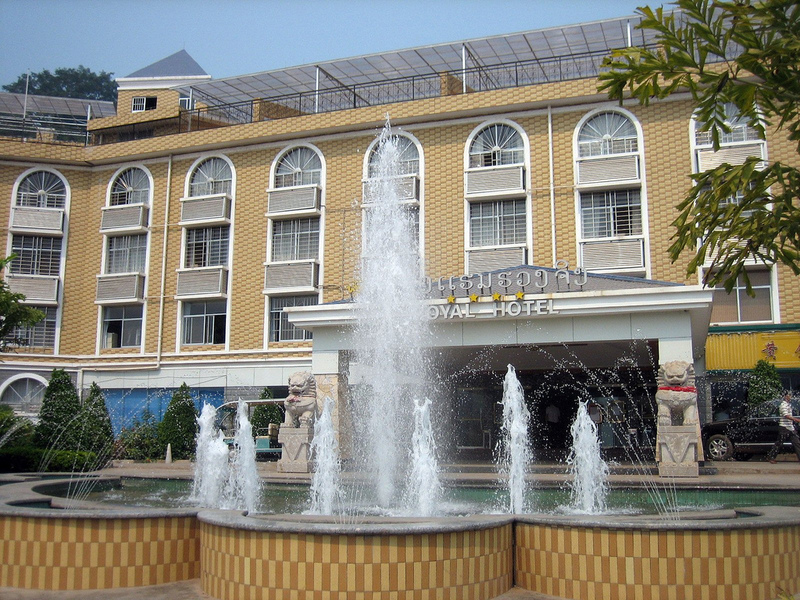 In 2002, the Lao government earmarked the region for development including hotels, casinos and commercial centres. Sitting on the Chinese border next to Route 3, the town of Boten was designated a Special Economic Zone. And the big plans led to a big name: "Boten Golden City". The 21 square kilometers on which the town sits have been leased for 30 years by a Hong Kong-registered company, led by Wong Man Suen, with an option to extend this lease by another 60 years, as Asia Times Online noted. The main road, was paved. Chinese workers poured into the Boten Special Economic Zone as construction sites and towering hotels sprang up amid the verdant hills. Dominating the landscape of Boten is the 271-room Royal Jinlun hotel and casino complex, and there were Chinese restaurants, cell-phone outlets, duty free shops and stalls selling cheap Chinese products. It was illegal for Laotians to gamble, in was also illegal for Chinese in China, but Chinese could simply walk across the border without a visa. The town worked on Beijing time, accepted only Chinese currency and spoke only Mandarin Chinese. Electricity and telephone lines ran from China, and electric sockets adhered to Chinese standards. The growing numbers of prostitutes that patrolled the streets were all Chinese, as were the beer and the cigarettes (see pictures by Midnitemapper). But in April 2011 the casino was shut down after Chinese authorities had urged their neighbors in Laos to do so. This after media reports that Chinese gamblers were held hostage in Boten for unpaid debts. Most shop and restaurant owners then packed up and left, the same did a Thai transvestite show and the Chinese prostitutes. "The enclave’s economy seems to have collapsed just as the builders hit their stride with a new high-rise hotel and a shopping centre bristling with columns in the classical style", reports Lone Rider. Ron Gluckman wrote in Forbes Asia Magazine that the owners of Golden Boten City were looking out for new investors. In March 2012 Vientiane Times reported that an unnamed Chinese investor had taken over and that Golden Boten City would become a casino-free zone and that the Lao goverment changed the area from a Special Economic Zone to a Specific Economic Zone. The move gives the Luang Namtha provincial administration greater power to control social and security issues. Officials said the new investor wanted to transform Boten Golden City into a tourism destination showcasing the Lue culture. The Lue ethnic group lives along the Lao, Thai and Chinese borders. The investor is said to have put the Lue culture on stage in Xishuangbana in Yunnan province (China) and in Chiang Mai province of Thailand. In April 2012 came the news, that the Lao government signed a new agreement with Yunnan Hai Cheng Industrial Group Stock Co. and - surprisingly - again Wong Man Suen’s Hong Kong Fuk Hing Travel Entertainment Group. The investors are said to invest 500 Millions US-Dollars. But until now not much has changed in Boten. Jack Kurtz, a photojournalist based in Bangkok, travelled to Oudomxay last month to document the effect of China’s investment on the landscape and local people. He found sparkling new shopping centres empty of customers – the goods are too expensive for the local people – and a landscape dotted with cranes, construction and trucks. The development, particularly the paving of the road, has transformed life for many in the province, drawing people down from homes in the mountains to earn a living from tourists or truck drivers who frequent the road. See Jack Kurtz about Oudomxay. What about the bus from Vientiane to Luang Prabang? Be aware of spirits! Is there a future for the Mekong Dolphin? This species may be not far from extinction. Luang Prabang - the Jewel on the Mekong An Introduction. 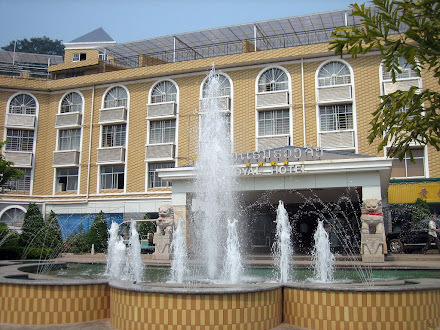 Luang Prabang - where ro stay Hotels and Guesthouses with reviews of guests, who have been there. Lao Folk Music with Latsamy Phoudindong: The new princess of Morlum. In Laos, It’s all About Weave: Who creates silk fashion in Vientiane and Luang Prabang. Politics and corruption in Laos: "Family problems". 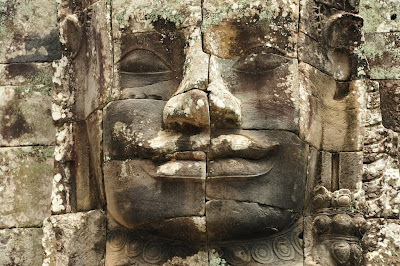 An article by Martin Suart-Fox, who wrote the book "Buddhist Kingdom, Marxist State: The Making of Modern Laos." Le Laos se laisse gagner par la modernité: Florence Compain dans Le Figaro. The kidnapping of Sombath Somphone during a police control on December 15 in 2012 in Vientiane is damaging the reputation of the government of Laos. Sombath Somphone was the founder of Participatory Development Training Center, PADETC, an important civil society organisation. is mobilizing for his release. "The Enconomist" has background in his piece Gone missing. Sombath Sompone was involved in the making of the video Happy Laos (click to watch) about the changing life of Laos.